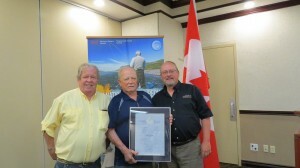 I was happy to be a part of the celebration this week with Ontario Steelheaders president Karl Redin when Rod Jones was presented with the Canadian Recreational Fisheries Award for his long time commitment to the Ontario sport fishery. Rod has been dedicated to the game for more than 40 years. 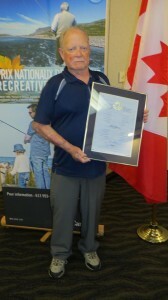 Congratulations Rod! You are joining a small elite group of conservation minded individuals. You definitely deserve the recognition. Way to go.